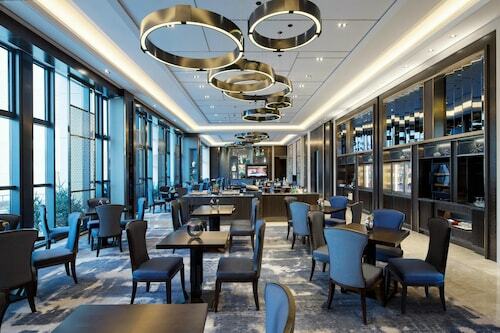 Located in the center of Shanghai, this family-friendly hotel is within a 10-minute walk of Jiuguang Department Store and Jing'an Temple. Shanghai Exhibition Center and Former Shanghai French Concession are also within 2 mi (3 km). Jing'an Temple Station is 6 minutes by foot and West Nanjing Road Station is 16 minutes. 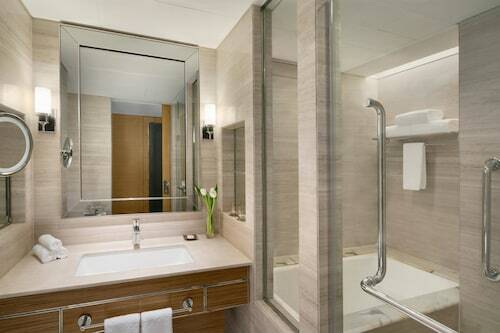 Les Suites Orient, Bund Shanghai places guests a 2-block walk from the Bund. 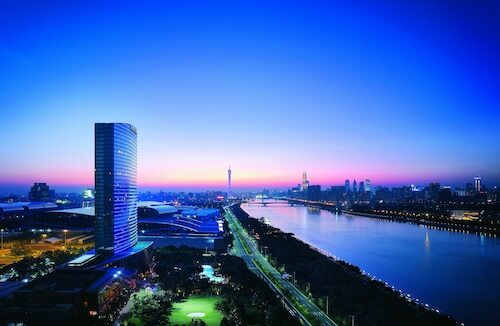 Tracing the course of the Huangpu River, this world-famous boulevard is flanked by gleaming skyscrapers. For a taste of tradition, the pagodas and Ming Dynasty pavilions of Yu Garden are a 5-minute cab ride from the hotel. 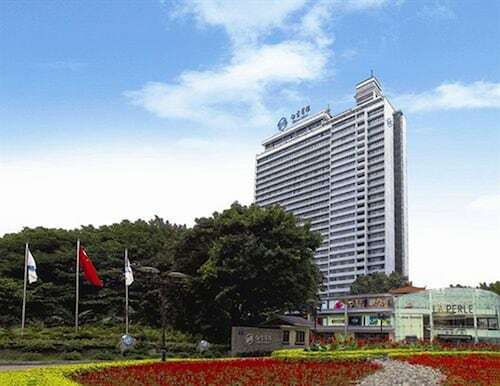 Located in Yuexiu, this spa hotel is within 1 mi (2 km) of Guangzhou Friendship Store and Yuexiu Park. Beijing Road Pedestrian Street is 1.8 mi (2.8 km) away. Taojin Station is only a 3-minute walk and Ouzhuang Station is 22 minutes. 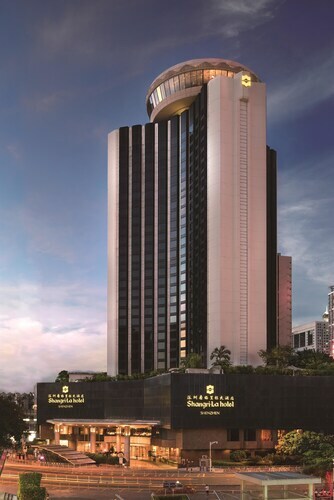 This family-friendly Guangzhou hotel is located on a river, within 3 mi (5 km) of Canton Fair Complex and Canton Tower. 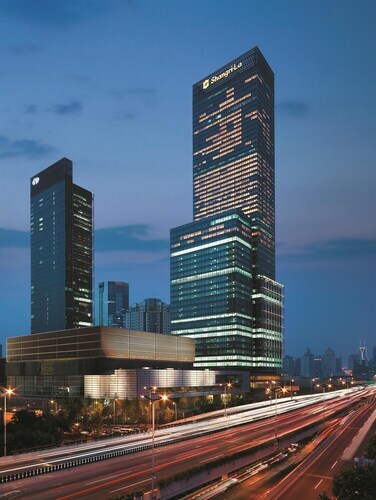 Redtory Art and Design Factory and Tianhe Park are also within 3 mi (5 km). Pazhou Station is 5 minutes by foot and Xingangdong Station is 19 minutes. 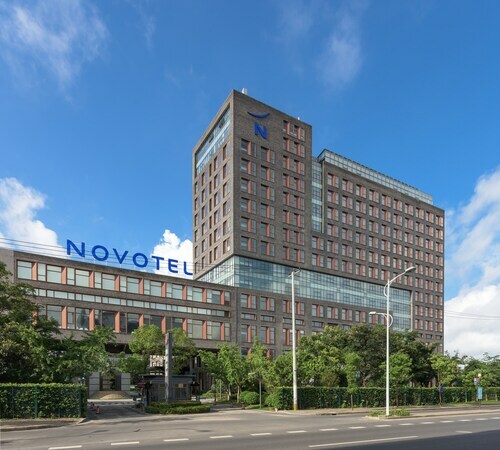 This family-friendly Shanghai hotel is located near the airport, 2.7 mi (4.3 km) from Shanghai Disneyland©, and within 12 mi (20 km) of Century Park and Shanghai Oriental Sports Center. Mercedes Benz Arena and Fabric Market are also within 16 mi (25 km). Fri., 6 Sep. - Thu., 3 Oct.